Zi-O: Kind of a nice dramatic subplot with Quiz and his father. It works better when it's all-new characters rather than returning Riders referencing continuity I don't know. Though I'm getting caught up now, so the Ryuki focus starting next week is one I will be able to follow. I wonder how long it'll be before Black Woz and White Woz compete to do the same opening recap. LvP: Wow. Marvelous drama between Keiichiro and Kairi. The arc between those two characters has just been wonderfully written and well-played. I loved Kairi begging Keiichiro to get angry at him and Keiichiro showing only empathy and understanding. But I am pretty tired of the tendency of Super Sentai to show a monster blasting the city to rubble clear to the horizon and then showing it completely intact again a few scenes later. It really cheapens the impact. Odd that Kairi thinks the Global Police arrested Touma and Umiko when Kogure told him that the police brought them to the hospital. Well, they're sort of the same thing. They'd be under police detention in the hospital and formally arrested once they were conscious to hear it, or something like that. Also what happened to Noel after Dogranio attacked? Sakuya just briefly talks about him at the hospital. I gather from Sakuya's words that Noel was conscious and regrouped with the Global Police. This was the season just before the Power Rangers era began, so it's the first one in ShoutFactory's DVD series that doesn't have a PR equivalent. And it's one of the best Sentai seasons, with rich character drama. May 20 and Mark_Nguyen like this. 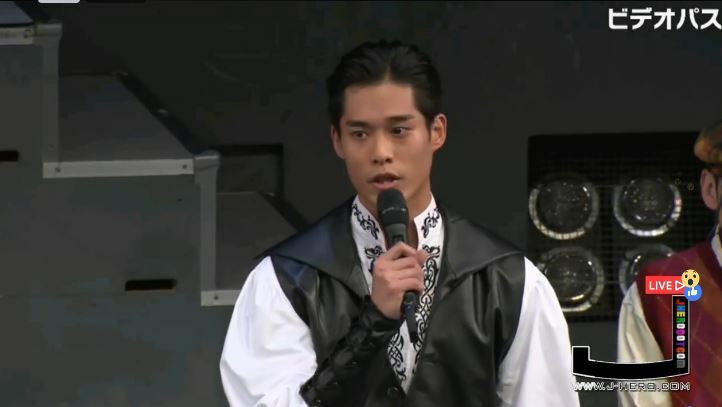 Suit actor Hideaki Kusaka will officially be retiring at the conclusion of Kaitou Sentai Lupinranger VS Keisatsu Sentai Patranger . He's been the man behind nearly all the main mecha suits since Denziman which debuted in the 1980! Live stream of the Ryuusoulger press conference! We get a giant T-rex mascot! It's like Redbot, but actually done with some thought. Tyramigo is voiced by Masaki Terasoma (Shadow Moon/Kintaros). The mirror world parts were fun. Its going to take some pausing to see what the backwards subbing was. They really saved up the effects budget for this episode, transformations everywhere. Zi-O used his visor katakana as a weapon, and Kamen Rider Woz had his suit materialize before the helmet. 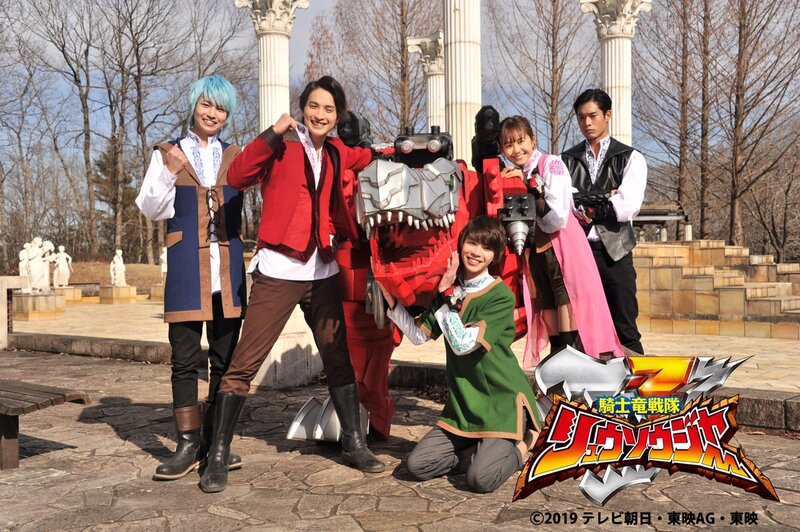 Just the other week I was talking about how rare it is for the actors to actually wear the Kamen Rider suits unlike Super Sentai with the helmet off scenes. 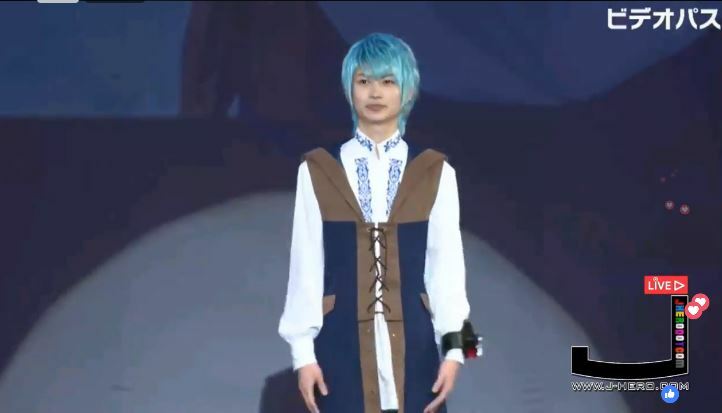 Another Ryuga is SO well-designed. The DragVisor just being his hand was genius. Also the Ryuki episode aired on February 3rd. The 17th anniversary of the first episode of Ryuki, 2/3/2002. Zi-O: It's so refreshing to finally see one of these where I've seen the show being referenced. It made it so much more chilling when I first heard that eerie ringing sound coming from the mirror, because I knew what it signified. Although it's surprising how little use they've made of Shinji so far, and how totally different he seems from the amiable, slightly dimwitted, but aggressively do-gooding Shinji of Ryuki. I mean, that was a hell of a dark season, but Shinji wasn't generally a dark character. 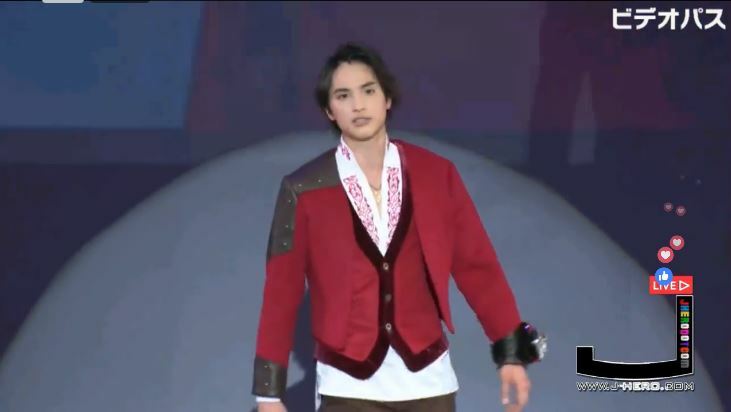 Also, his mirror double Ryuga comes exclusively from the movie and the special, never appearing in the main show. Although the Timejacker did say he came from a lost world, with the movie being one of several alternate timelines within the overall Ryuki narrative. I was surprised by how much older Shinji and his editor looked, but I guess it's been something like 16 years since Ryuki. It's the earliest show that's been homaged so far, only the third Heisei season. So should we refer to the mirror Zi-O as O-iZ? LvP: Some nice character moments here, and some interesting visuals inside Dogranio's safe, but the story was a little underwhelming. Often, my problem with big finales is that they prioritize plot over character, and if the stuff I love about a show is the character work, then all the tying off of plot threads leaves less room for that. But we did get some important resolutions, like Tsukasa and Sakuya choosing to let Tooma and Umika go to rescue Kairi, and T&U finally renouncing that "If one dies" vow they started with. Zamigo ended up a disappointingly underdeveloped villain. Who was he? Why did he imprison those people? What was he after? Also, I was surprised that his desire to get inside Dogranio's unbreakable safe was nothing more than it appeared on the surface. I mean, if a show establishes one week that the main villain's safe can't possibly be opened unless he chooses to open it, and the next week a character convinces him to open it, then it ought to be a devious plan to solve the problem of its impenetrability. I was expecting Zamigo to be tricking Dogranio into opening his safe so that Zamigo could steal his Collection pieces and destroy him, and then be the ultimate big bad in the finale. What we got instead was kind of random and pointless. It's one of the few times I've been disappointed by the writing in this show. 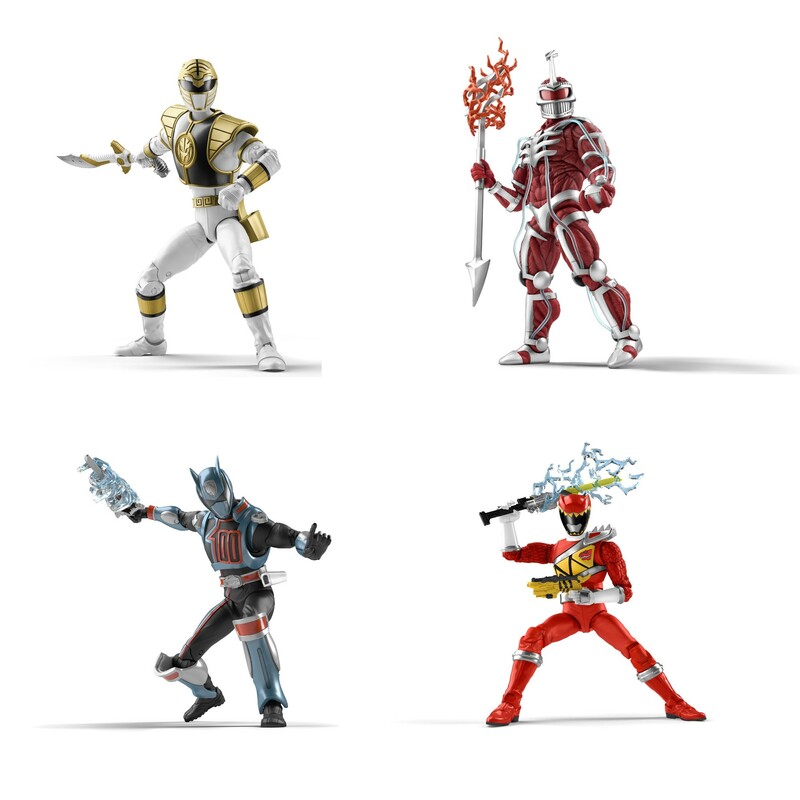 First look at Beast Morpher toys! 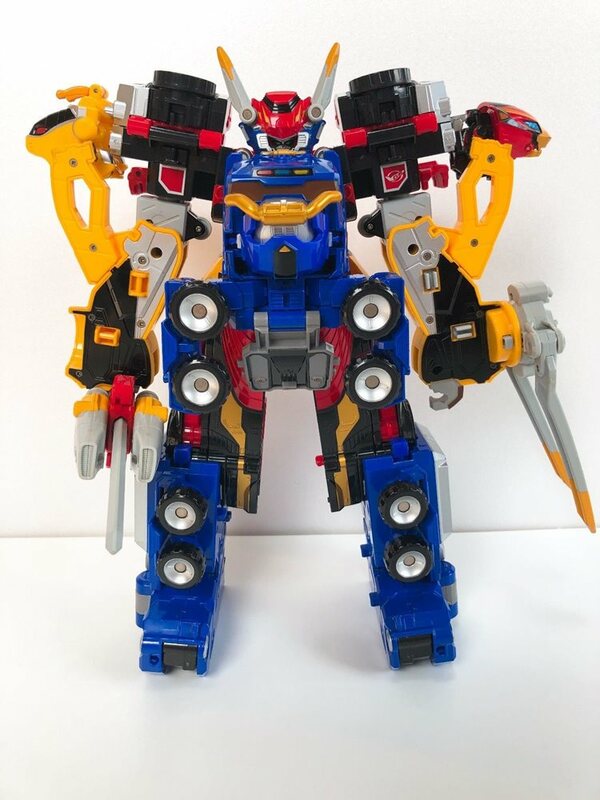 DX Megazord. 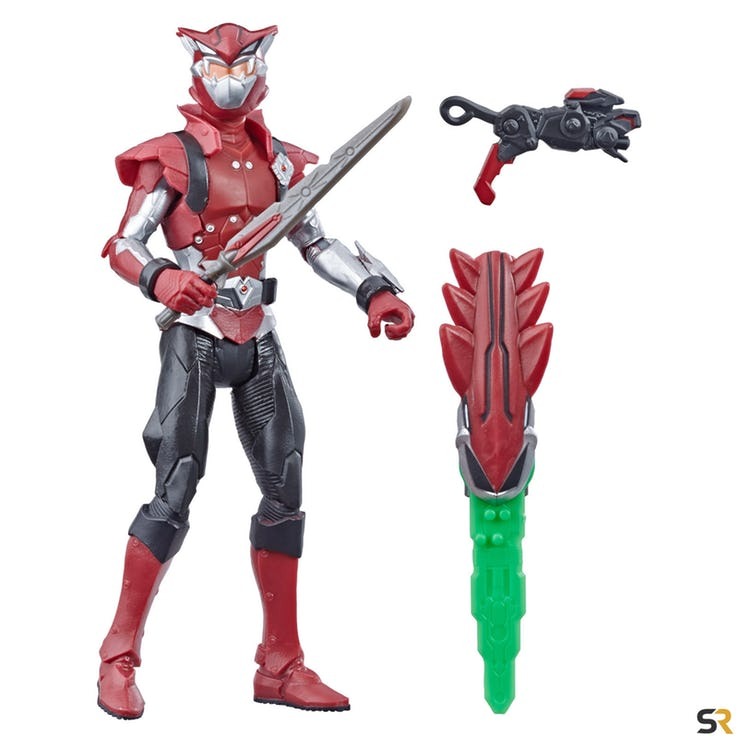 A bit more simplistic than the Go-buster version but better looking that what Bandai America might offer. the POWER RANGERS BEAST MORPHERS BEAST-X MORPHER toy. Putting it on the wrist and saying “It’s Morphin Time” activates music, lights, and sound effects. Swinging it around as if battling monsters unleashes special animal-inspired sounds. Insert the included MORPH-X KEY to activate different character sounds and phrases. Look for other POWER RANGERS items that include MORPH-X KEYS to unlock even more sounds and phrases, along with other POWER RANGERS figures and gear to expand the morphinominal action. Each sold separately. Available at most major toy retailers nationwide. Looks like they're going to use Dark Buster more than what Go-buster did in just their finale. 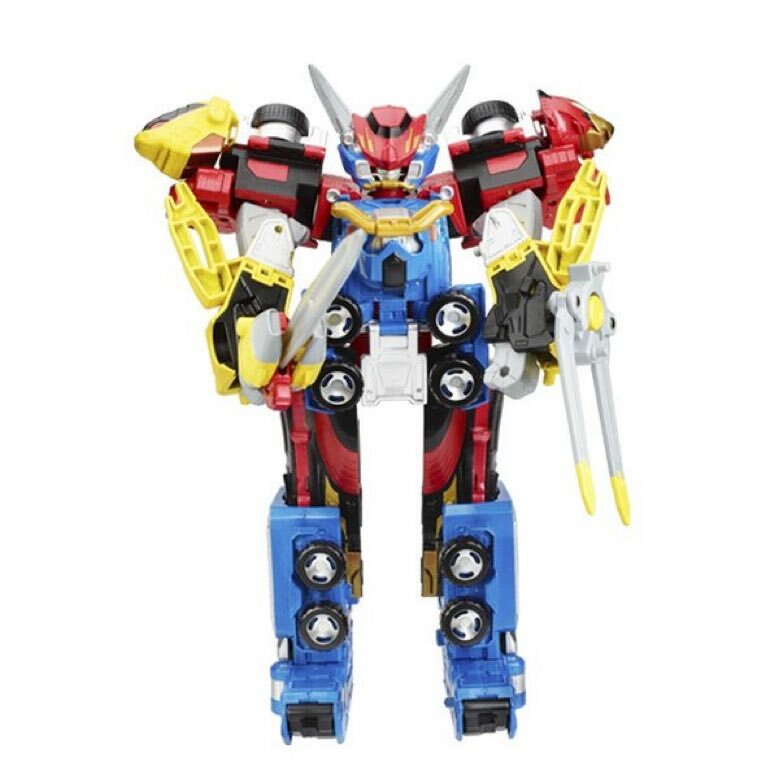 It also shows a Playskool "Dragon Thunderzord" figure that looks nothing like the Red Dragon Thunderzord/RyuuseiOh, but more like a stubby Western dragon. The Pats get a chance to save the world (with the help of the LupinRangers). The Lupins get a chance to sacrifice themselves. The hint of Kogure moving on to Kairi's bro, Aya, and Shiho to be the next Lupins is pretty good. An emotionally satisfying ending, with just a bit of plot left for the inevitable Returns in a few months. How did the lupins survive for a year inside dogranio? Wow. That was a great comeback from the disappointing penultimate episode. 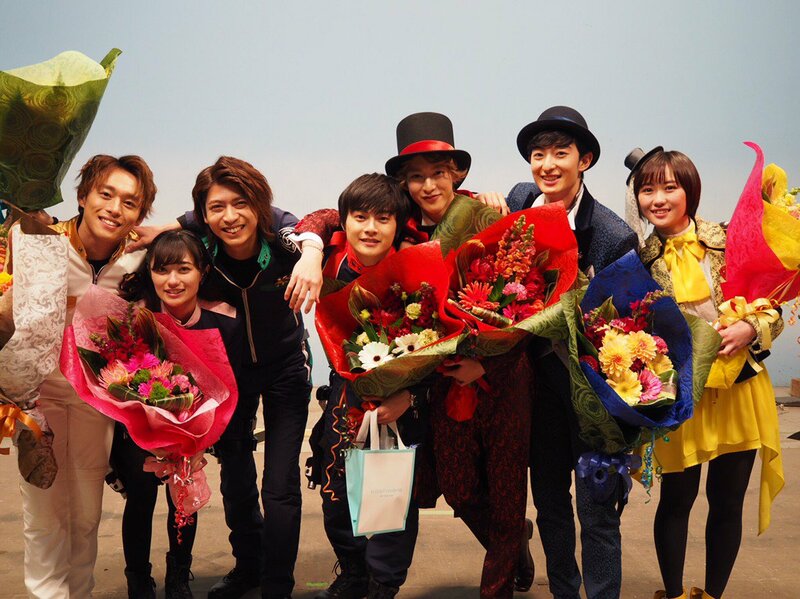 Very emotional, a potent wrap-up to the character arcs and the resolution of the LupinRangers' main quest. The Lupins' contented resignation about sacrificing their lives so long as their loved ones were safe was striking, and having the people they fought to save turning around and becoming Kaitou to save them was a beautiful touch. I am surprised that it was left open-ended with the rivalry still continuing, though. I was expecting a happy ending where the Collection was reunited and the Lupins were pardoned for their role in saving the world, or sentenced to time served for the year they spent incarcerated inside Dogranio, and then retired. But keeping the cops-vs.-thieves rivalry going opens the door for reunion movies, and I'm all in favor of that. The main problems I had were with the goofiness and garishness of the weapons and mecha, and how cartoony and cluttered the CGI battles have gotten these days. Although conversely there were some really impressive innovations to the action cinematography, from the use of drone cameras in the stunt sequences to the human-scale POV shots in some of the more important giant battles. I also had an issue with the police defaulting to lethal force with Ganglars rather than arrest, which is problematical if you think about it. It's part of the general formula, of course, but the Timerangers arrested their monsters rather than killing them, and I would've liked to see more of that approach. From a writing and character standpoint, though, this is one of my favorite Sentai ever, among those I've seen. I've said a lot about how great the character work has been, how the format pitting two teams against each other really allowed for clearly delineating six (later seven) very distinct personalities and putting them into interesting combinations. The Keiichiro-Kairi relationship was magnificently complex and moving, but all the character interplays were impressive, and there was some excellent acting too. Oh, and the music was wonderful. The Sentai and Kamen Rider shows usually have really good instrumental scores, and this was no exception, with some nicely jazzy motifs (the Lupins' henshin sequence cue in particular) and some lovely poignant cues. I'm often not that fond of the theme songs on SS & KR and tend to skip over the opening titles, but LvP's counterpoint-duet theme was really beautiful and I listened to it every week. Come to think of it, Dogranio's still alive, isn't he? That's also unexpected. How did they carry those huge clunky henshin devices around with them all year without anyone noticing? And where do their uniforms and weapons come from? It's always been a tokusatsu trope that characters can draw stuff out of hammerspace when it's needed. Not to mention that their vehicle/mecha Collection pieces can enlarge when activated, so there's some kind of size-changing ability established. It looked like there was a whole world inside that safe. What we saw was mostly a grassy park, but in one shot there was a Ferris wheel in the background, suggesting the presence of an amusement park. And maybe the world was expansive enough to include restaurants and shops as well. Alternatively, maybe it was one of those time-suspended limbo dimensions where people trapped inside don't need to eat or drink, like the Phantom Zone. Using Ryuki's mirror motifs as a way to forward Sougo's development - coming to terms with who he is and will be - is a smart use of past Riders. The debut of Zi-O was sufficiently cool. 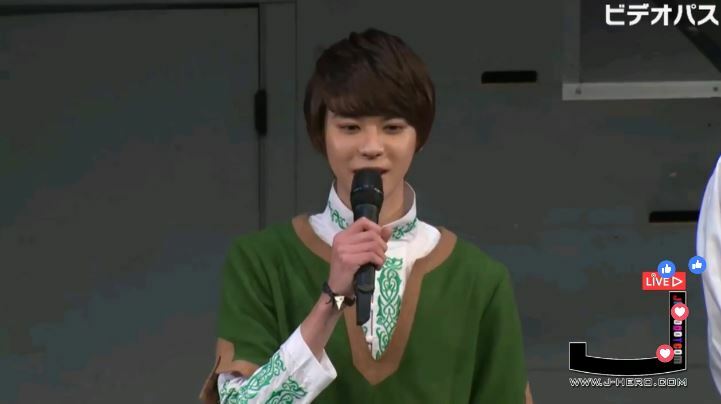 It was fun to see Woz giving a speech declaring the King's ascendance once again. Zi-O II's debut must have been expensive. Even his eyes have special powers! A pretty nice episode. I liked the way it used the mirror theme of Ryuki as a driver of character and theme -- the idea of Shinji and Sougo having to face and accept their dark sides, and the idea of both Sougo and Geiz influencing each other to become more like themselves, reflecting each other. That's very deft writing. But I think Shinji was being too hard on himself, believing that side of him that resented his ex-readers was his true self. Shinji's defining character trait in Ryuki was that he always impulsively jumped in to help other people in need, without thinking. Which got him in some pretty big trouble, but it shows that his most fundamental reflex is kindness, not bitterness. So now both this season's Super Hero Time shows have powerups that give the heroes the ability to predict and counter their enemies' moves. LupinRed had an upgrade with that ability too. Argh. Beast Morphers Gold or Magna Defender? The "Are you Ready" part is not in the show. 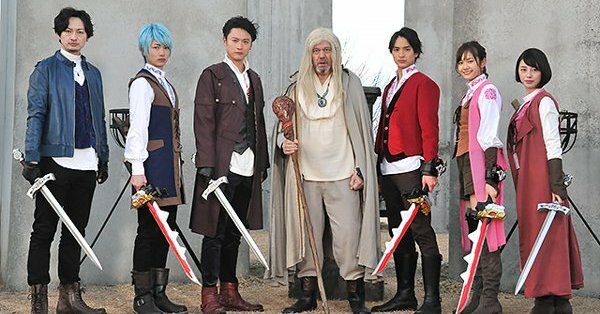 So this is what Zamigo's been doing while he's away from lupinranger vs patranger. Kikai seems to be an homage to early Showa Riders in the premise, having to defend an oppressed individual/group. Good thing no Titans around to break the walls, but not welcoming the robot overlords while being a machine himself is the classic duality. Part fan services. Part Secret Wars. Part Charlie and and Chocolate factory. It was funny to think about Yellow Racer and OhYellow being Power Ranger's Tanya VS Tanya. There's only four weeks so they kept the backstory/exposition of each team to a minimum to get down to the battles. Perhaps too much thinking will bog down the enjoyment of these different characters interacting like Keiichiro and Yamato talking it out and bonding. Rather than "let's fight! Okay! I win! See ya!" Same promotional type from Nick but I hope the show is different from Neo Saban. Zi-O: It's cute that the Another Rider counterpart to the robotic Rider is made entirely of wood. And neither one is human (at least until Heure is taken over), so that's what they have in common. I wonder who or what is behind the parasite thingy, though, and how it connects to the whole Timejacker/Another Rider business. Strongest Battle: Most of this is lost on me since I don't know any of these characters other than Keiichiro. But I loved how he and Yamato worked out their "battle." The whole "fight with each other so the winner can get any wish granted" thing is basically lifted from Kamen Rider Ryuki. But that was only 13 Riders, several of whom only appeared in a movie and a special. Here, there are way too many Sentai members to keep track of. But seriously, guys -- I know English words sometimes get used strangely in Japan, but if some unknown alien force recruits you to compete with each other to feed energy crystals into a gigantic device named the "Nemesis Pulse," you gotta figure it's a bad idea. Looking at the Wiki page, it looks like the Serious Team also includes Kouichiro/MegaBlack from Megaranger, which works. I even remember remarking a while back that Kouichiro and Keiichiro from LvP had similar personalities. 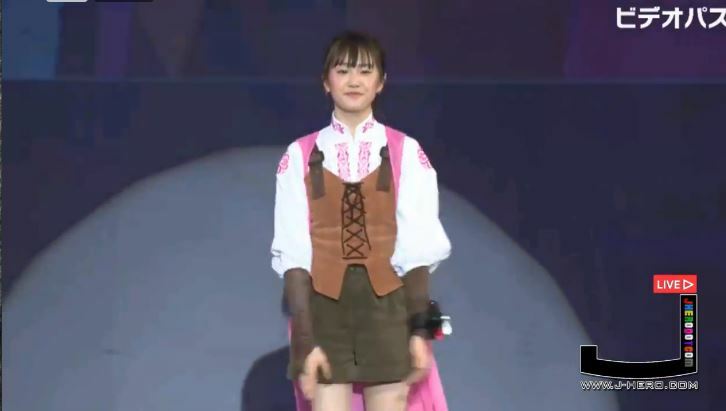 I'm surprised to see that GoGoV's Matsuri is on the Serious Team, though. She was kind and dedicated, but not ultra-serious like her brother Matoi, who was like an even angrier Keiichiro. 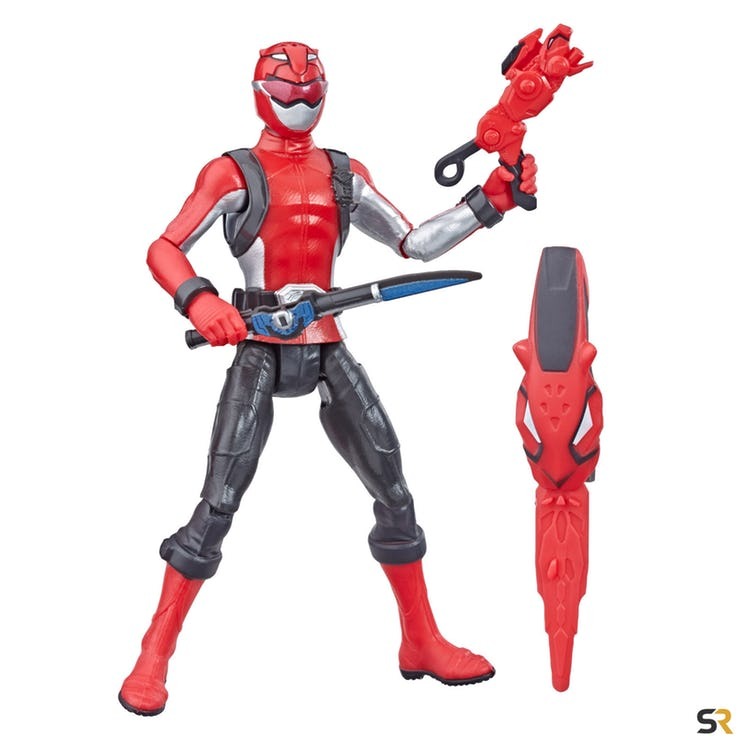 But it seems Matoi is on the Leader Team, which is kind of generic (all Red Rangers except NinjaWhite). I also see that the miniseries is directed by Koichi Sakamoto, who was the action choreographer and producer on Power Rangers for some years before going back to Japan to do Kamen Rider and Super Sentai. Hmm... I looked up the names, and Co-Producer Melissa Flores was apparently a writer-director of the Power Rangers HyperForce web series, which is apparently a livestream of... people playing the RPG of that name. She's also the "Director of Power Rangers Development and Production" for Hasbro, which makes it surprising that she's listed as only a co-producer instead of an executive producer. Chip (Judd) Lynn and Brian Casentini are returning from the previous several seasons, which is discouraging given how poor Ninja Steel was (although they also worked together on Dino Charge, the only decent series in the Neo-Saban era). Brian Goldner and Stephen Davis are Hasbro execs who've been EPs on various Hasbro TV and film productions.